Goodbye city pubs with your beer soaked carpets, drab drinking halls and ho-hum hotels. This week, we re-open our doors and officially enter a new era by rewriting the rules on Sydney pubs. The Upstairs Lounge provides a unique refuge from the bustling city streets. 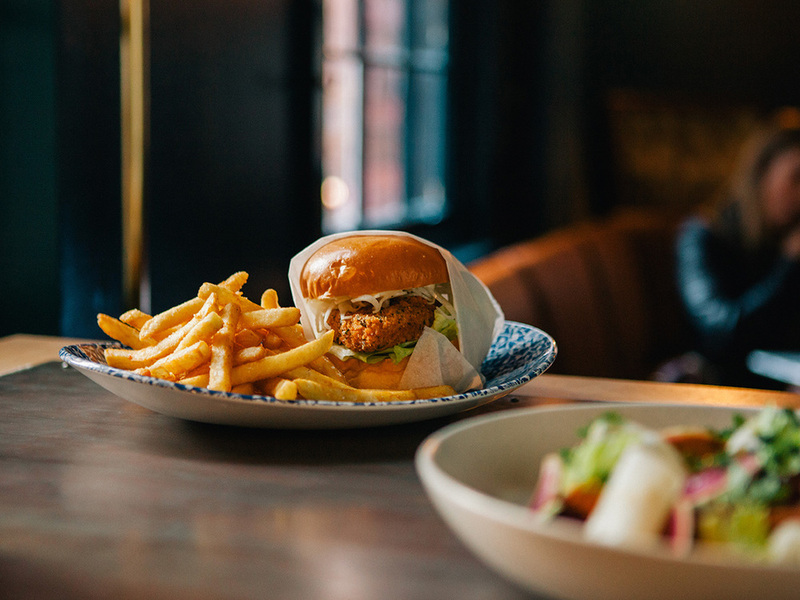 Welcome to The Edinburgh Castle, a storied pub with true Australian heritage, a place of character, a meeting point where memories are made; be they cheeky, salacious or strictly down to business. Once home to some of Australia’s literary greats, The Edinburgh Castle was known as Henry Lawson’s chosen writing nook, quenching thirst and bearing witness to some of his greatest poems and short stories. After a complete renovation of its interiors and a contemporary food and beverage offering created by newly appointed Head Chef, Daniel Lanza, we hope to be your chosen residence for revelry and refreshment, from friends afar and city dwellers alike. Subtle references to the venue’s impressive colonial past are reflected in both the menu and the Bianca Isgro designed interiors, which offer a welcome refuge from the busy city streets. Bianca, Solotel’s Interior Design Manager, worked with renowned architects Luchetti Krelle to create a space which celebrates the unique history of the hotel, and raises a glass to Lawson himself. Solotel's Interior Design Manager Bianca Isgro dug into the roots of The Edinburgh Castle for inspiration. As you step inside our doors and the muffled business of the CBD fades into the background, you’ll find premium quality food that offers a modern take on Australian pub dining, craft beers, a clever cocktail list and an impressive Australian wine list curated by expert Sommelier, Matt Dunne. Chef Lanza’s menu brings back to life old classics reminiscent of an Aussie childhood with a modern twist, influenced by his premium dining experience. Set apart from surrounding establishments, The Edinburgh Castle is warm and welcoming, a retreat from a hard day’s work or for an intimate drink with friends. 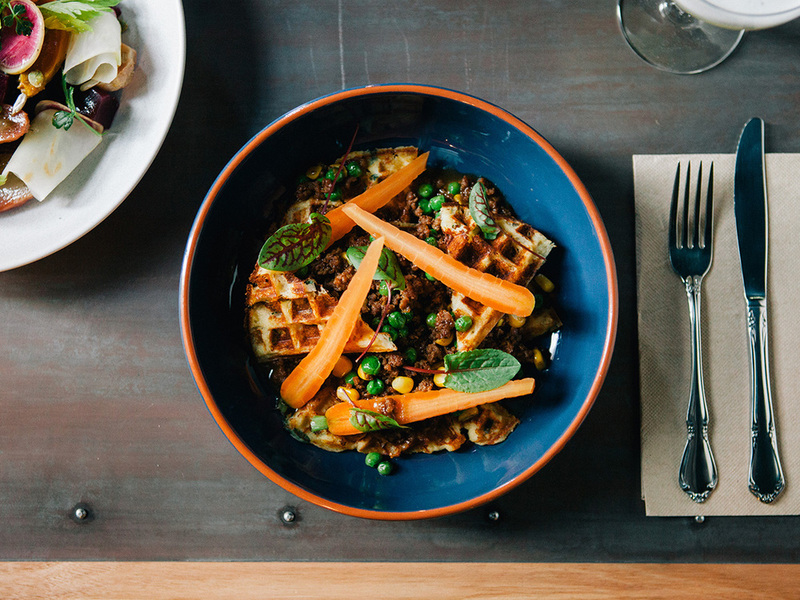 Chef Lanza's menu delivers a modern twist with old pub classics. If you’re feeling peckish, the snack menu is perfect for an after-work pop-in, with the soon-to-be house favourite of pork and sage sausage roll, served with green tomato chutneyor the ploughman’s plate with ham, cheddar and house pickles, which is perfectly paired with a glass of ‘The Vincent’ Barossa Valley Grenache, by Cirillo, grown from some of the oldest Grenache vines in the world. 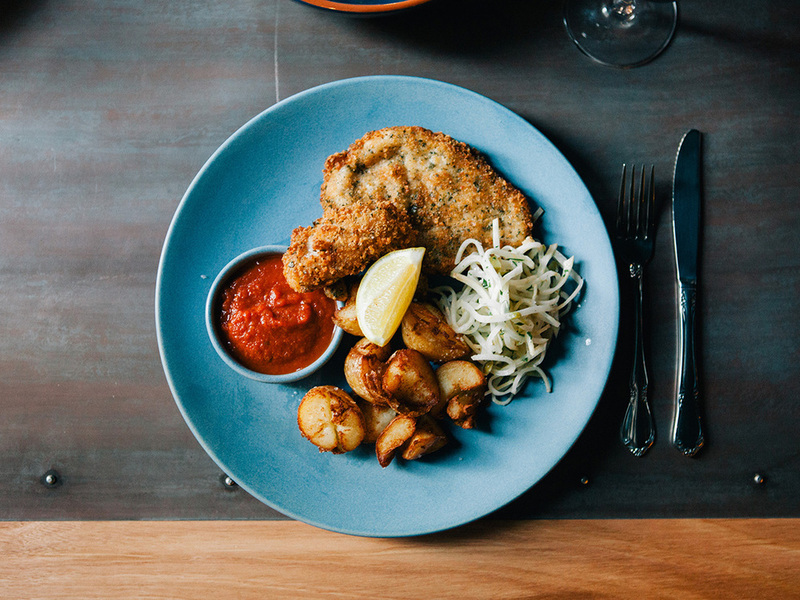 “We aim to offer people some comfort in being able to visit and experience a classic, satisfying, Australian pub meal yet still experiment with reinventing the wheel of what people expect by modernising traditional menu items,” said Lanza. Complementing our menu is our fresh new interior with a tip of the hat to our heritage. With an updated ground floor bar and a complete overhaul to the upper level, The Edinburgh Castle is now home to a warm cocktail lounge and an outdoor courtyard retreat; all highlighting the heritage features of the hotel. Come in for a drink, a meal, or to make some memories as we begin rewriting the rules on Sydney pubs.